Thanks, Eliza. One of my favorites! Great capture! The must have been a fairly fast shutter speed. 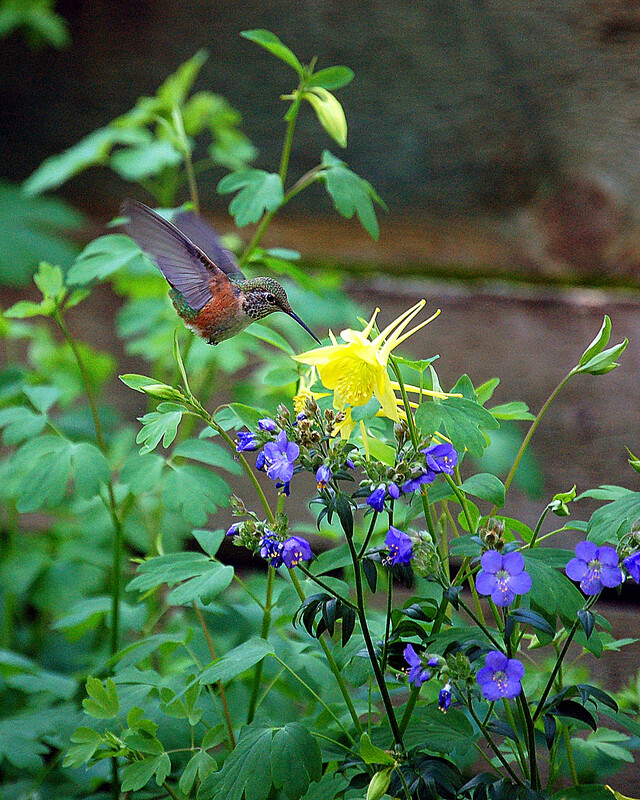 What a fabulous lens you have; that hummingbird’s wings are sharp and crisp. Lovely! I like the sharpness of the image and the balance in colors which work very well. I appreciate your kind words…as always! Probably my best of a hummingbird. Thanks, Cee! Beautiful photo and wonderful words!